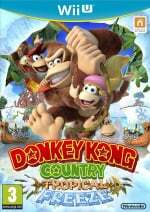 As we all know, Donkey Kong Country: Tropical Freeze launched this month on the Wii U, and comes with a glorious soundtrack composed by former Rare staffer and original Donkey Kong Country music-maker David Wise. We got chance to sit down and chat with Wise recently, and he shared a few thoughts on what it was like working on the esteemed franchise after all these years. He explains that it was Michael Kelbaugh — who worked with Wise on the original SNES Donkey Kong Country as part of the team from Nintendo of America — that made the connection. "It actually goes back to my days at Rare," Wise says. "Rare had various people coming over from America and Japan whilst we were working on the original DKC, one of which was Michael Kelbaugh, who is now the CEO and President of Retro Studios. The association made whilst we were doing the original game has proved very valuable; Michael phoned me up and asked if I'd be interested in working on Tropical Freeze." Interestingly, Wise admits that despite the passage of two decades, the process of scoring a game has changed very little. "It was almost identical," he reveals. "On Tropical Freeze, I'd spend most of days in my studio in Nottingham in my own little musical world, which is very similar to how I used to work at Rare. Whilst we worked on site at Rare, the audio team had our own offices away from the main development barn. Now, with super-fast broadband and the internet, this cuts the distance world-wide down to virtually nothing. Retro gave me a storyboard first of all with a basic version of each level with minimum assets — enough to let me start working on the initial music demonstration material. I knew exactly what I was dealing with because Retro had previously made Donkey Kong Country Returns on Wii; I knew thematically what to expect. Also, Retro Studios have a very similar work ethos to how we used to work at Rare and I think this shows in the quality of the finished game." That's not to say that Wise was totally detached from the team in North America. "I went to visit Retro Studios over in Austin, Texas at the beginning of the project," he explains. "I met with the team and also Kenji Yamamoto to discuss the direction of the project. Then, throughout the project, I would have weekly monday meetings with Scott Petersen, the audio manager over at Retro Studios. Having previously visited the studio in Austin, it then helps to give you a sense of the space and surroundings of the people you are talking with over Skype. The internet has removed most of the barriers when it comes to working over distance." Wise and his soundtracks are a big deal with Nintendo fans, but he reveals that it took a while for him to become fully aware of the incredible amount of cachet he has. "Whilst we were working at Rare, it wasn't until quite late that we were allowed the internet so I wasn't really aware of what was going on out in the big wide world," he laughs. He has since discovered the likes of video game remix site OverClocked Remix, and he even collaborated on a Donkey Kong Country remix album back in 2010. "It was amazing to see that there's this whole community built up around rejigged chiptunes," he says. 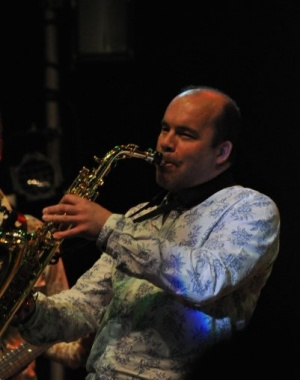 "That gave the music a new lease of life and I'm sure it did the same to my career, as well!" Ever humble, Wise also admits that he wasn't expecting the positive reception that the announcement of his involvement with Tropical Freeze would generate. "We probably didn't realise it was going to have quite the impact that it did have," he says. "A lot of people picked up on it. However, if it wasn't for the original game — along with the quality of the new game from Retro — the new soundtrack would have meant nothing." What a huge influence on my music making hobby. I'm really happy he was onboard DKC:TF, it's real nice to see some of the old tracks brought back to the game in style! I always love reading composer interviews, as a VGM enthusiast. But Wise is something special!! the soundtrack is my favorite part of the game! Tropical Freeze has some seriously amazing music. I'm only on world 3 and I've been blown away by how good the songs are. Definitely the best soundtrack I've heard on a new game in a long time. That's funny he didn't realize how big of an impact the news of him doing the soundtrack would have because that's a huge selling point. When I tell people about the game, that's the thing that really peaks their interest. David Wise, you have influenced me so much with the DKC2 soundtrack, I used to use different tracks to excercise all the time, made a few songs with my old drum group based on songs in the game, and soon I will make my own remixes of this music. A seriously talented individual that I hope continues to make more and more music in and outside of gaming. The announcement that David Wise was back to compose DKC:TF was the reason I was most exited for this game! I would love it if he did some work on the next Metroid too. I really like the song from the Windmill Hills in the 2nd world, that's really nice. I've heard the complete OST now and I'm not blown away by the soundtrack – there's some nice stuff, but this guy often sounds too Hans Zimmer for my tastes. I always thought his best work was found on the Diddy Kong Racing soundtrack; some very interesting compostions in that game. "Nintendo producer Kensuke Tanabe has confirmed that Retro Studios is working on a brand new game, and it’s been in development for a few months. As for what it is, Kelbaugh won’t say much." Who knows, perhaps he's already working on the new soundtrack for Metroid U or StarFox U. Never had seen what he actually looked like so thanks for the picture and, of course, the article, NL. Nice read. And having David Wise back in Tropical Freeze DEFINITELY paid off. Often times I'd just stop to listen to the music, and it made me feel like I was playing one of the SNES games again. Beautiful job, Mr. Wise! Honestly, if I had to pick a greatest videogame composer of all time, it'd probably be David Wise. I was kind of worried he'd have lost his touch after all these years, but no, Tropical Freeze's soundtrack is just as good or maybe even better than DKC2's. I'm surprised that Serious Monkey Business was mentioned on this feature that's cool. Hopefully he liked the collaboration so much that this isn't the last time. Why use the word ape not gorilla ? Thank you very much for these interviews, NL. As @Giygas_95, I had no idea how he looked like. And there are a lot of interesting details about the DKC games' creation that I also ignored. My copy is on the way, and I admit the music is one of the things I want to experience the most. The few tracks that I have heard sound great. Very glad Wise returned for the soundtrack. He's still got it, that's for sure. Love your music, David Wise! Tropical Freeze had a great sound track! Tropical Freeze soundtrack will go down in gaming history as one of the greats, if not the greatest. Just like the game itself. World 6 really, really layed down the brass tax as far as music is concerned. Everyone on Miiverse can't get enough of the music, and I know his music means a lot to me. Thanks, Mr. Wise! I really enjoyed the music in DKC:TF. I will often just soak up the music before beginning the level. Thank you David Wise and Retro!! I love this game. The soundtrack to DKC2: Diddy's Kong Quest is genuinely one of my favorite albums of all time. And I'm talking as a musician and music enthusiast myself, owner of a sizeable collection of albums including many of the rock and pop classics, and as someone who routinely listens to 30-40 new albums every year. It's simply a masterpiece. I hope WIse sticks with the Donkey Kong Country series for a long time. I like the fact that he is so humble, as well as pinning all his success on the quality of the game and programmers. In the other article, he kept praising DKC's programmer for freeing up all the extra space for him to have better quality music. j want the cd please !!!!! David Wise is a huge inspiration to me, and definitely my number one favorite VGM composer of all time. The announcement of his involvement in Tropical Freeze gave the extra push for me to know I absolutely NEEDED this game day one. Every single one of Wise's pieces are catchy, atmospheric, and memorable, and even as I listened to the admittedly lower quality remixes in the GBA ports as a child each piece and rhythm holds an extreme amount of nostalgia for me, and helped me develop my love for music. Thank you for everything, Wise! I'm really loving your music in Tropical Freeze so far, and I know I'll be replaying this game like with DKC2 for years to come. Had to sign up to add my voice to the chorus of praise. His and Kirkhopes music spurred me on to learn the learn the piano (and improve my ear so I could figure out how to play their songs) so much, as a kid I wanted their jobs! DKCTF's main attraction for me was David Wise and boy is the game worth every penny because of him! It's the only VG soundtrack that's really piqued my interest since Galaxy 2. Many of the tracks feel as if they are instant new classics. I'm sure several will be reheard many times over the coming decades. Maybe some Donkey Kong remixes for Smash Bros.? That would be awesome. Keep up the excellent work David! 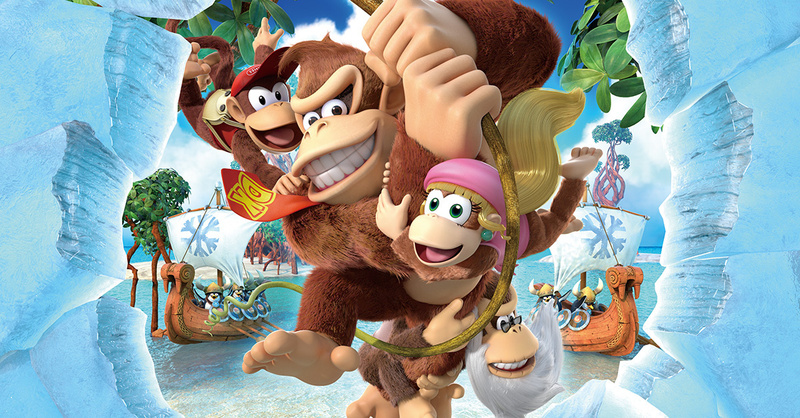 The DKC series has always had some of my favorite music of any game series, and from what I have heard from others about Tropical Freeze,that game looks to not disappoint. Good music is all I can say. Getting rid of Rare & buying Retro Studios may have been the best decision Nintendo made during the GameCube/Game Boy Advance era. The soundtrack of tropical freeze has incredible harmony with the entire game. I think this man has shown himself to be a great musical and artistic mastermind with it. I really liked how diverse the new soundtrack was from happy travelling music to darker and more epic songs (especially the tracks in World 6). I had already given up hope of ever hearing David Wise's music in a new Donkey Kong title after DKC3 on GBA (which had some really awesome tracks too). Last E3 greatest news for me was the fact that he was composing the soundtrack for Tropical Freeze. Thank you David Wise, you're still my favourite videogame music composer.